Hi ladies! 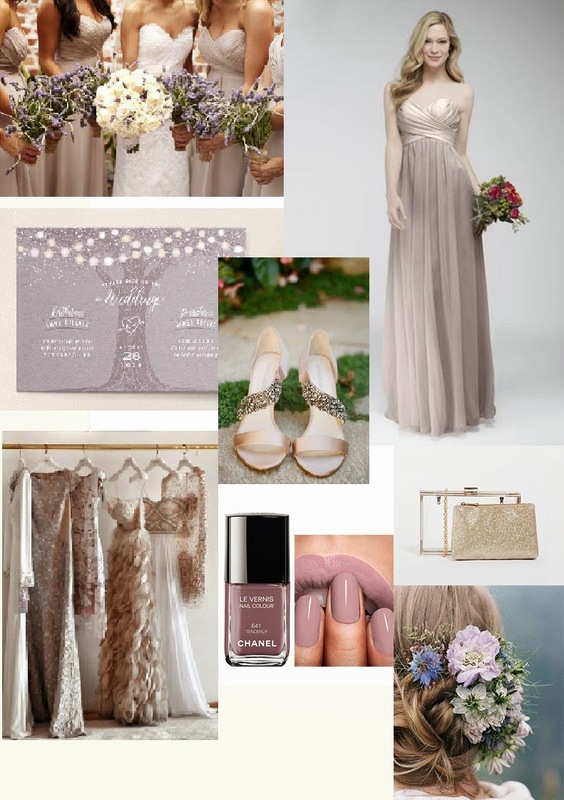 Today I would like to share my winter wedding inspiration collaboration with Weddingtonway. Weddingtonway is an online boutique based in San Francisco that offers the modern bride a highly curated selection of top brands. I'm a bride-to-be and will be having my wedding in Toronto this summer :) Even though my actual wedding will be in the summer, I could easily imagine how I would want to have a winter wedding. I picked smoky pink as the theme color for my winter wedding inspiration. This is because smoky pink gives me a warm nostalgic feeling and I thought the color would look really beautiful in the fall/winter. This dress has simply beautiful shape and I love the way different fabric was used for body and skirt parts. I've been always attracted by chiffon dress since to me, it has a feeling of dreamy, airy, care free feminism. Such a lovely inspo, i love it! Beautiful selection! Lovely wedding inspo dear! love the posT! aww yay! I grew up in Toronto and I always play around with the idea of a winter wedding. Pictures are really awesome, Wedding dress and accessories are just so unbelievable!